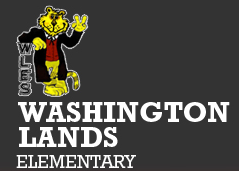 Wednesday morning our Buddy at WTRF, Brooke Chaplain, visited with students at Washington Lands Elementary School to teach them the importance of being nice to all of their classmates, and the proper way to deal with bullying, if they’re being bullied or see someone else being bullied. Kindergarten, first and second grade students took the “Be a Buddy, not a Bully” pledge. Each student received a bookmark from Chaplain. The goal of the visit was to help educate students on the awful impacts bullying can have.